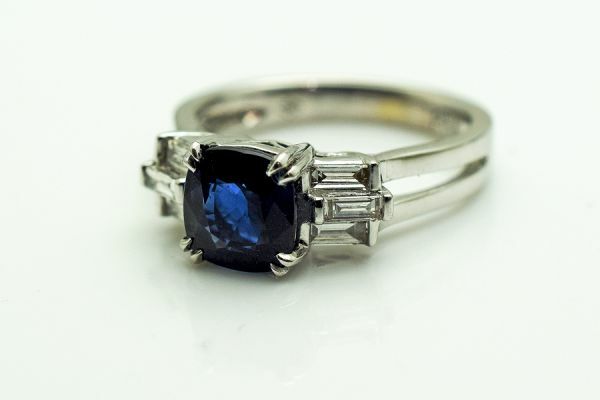 A stunning Art Deco style 18kt white gold split shank ring featuring 1 cushion mixed cut dark blue sapphire, est. 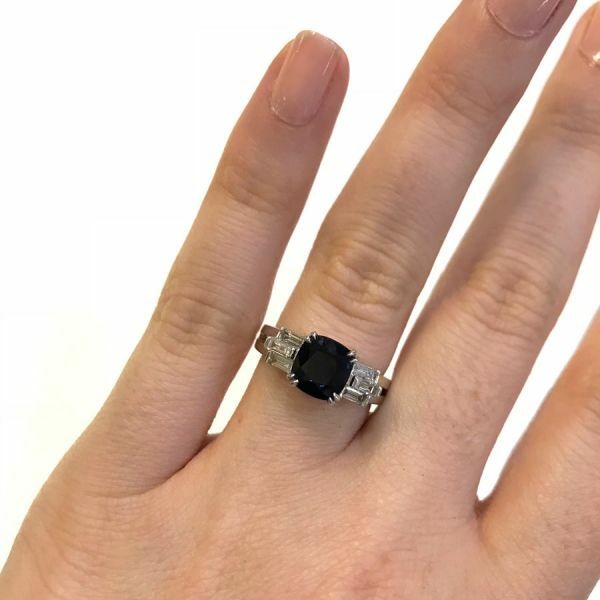 2.21ct and 6 baguette cut diamonds, est. 0.29ct (VVS!-VVS2 clarity & G-H colour).